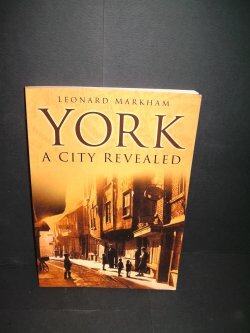 York is one of the most visited cities in Europe, and in this book well-known Yorkshire author Len Markham explores many different facets of its long and extraordinary history - characters, institutions and achievements. We meet a Swiss confectioner who came to England to seek his fortune; on arrival in London, unable to speak a word of English, he was directed to the wrong station, boarded the wrong train and found himself in Yorkshire - where he founded the best-loved teashop in the country. We uncover the far from holy antics of York's former archbishops. We discover what prompted Hitler to order York's destruction. We shiver at the most haunted city in the world. And we learn all about 'Charlie Artful' - a detective who solved more murders than any other officer in the Murder Squad. This really is history with the boring bits left out - and anyone who lives in or visits the beautiful city of York will enjoy the tales that Len Markham tells. 151pp.